"1. It is up to the Israelis and Palestinians to take action. No peace can be imposed upon them—not by the United States; not by anybody else. 2. What America and the international community can do is to state frankly what everyone knows—a lasting peace will involve two states for two peoples: Israel as a Jewish state and the homeland for the Jewish people, and the state of Palestine as the homeland for the Palestinian people, each state enjoying self-determination, mutual recognition, and peace." This commitment - made now by two American Presidents to Israel - has been repeatedly rejected by the Palestinian Authority, Fatah, the PLO, Hamas and the Arab League. But it is a commitment that America has no intention of abandoning. Bush had clearly committed to back Israel’s position that sovereignty in 100% of the land occupied in the Six Day War by Israel would not be ceded in any ultimate peace settlement. 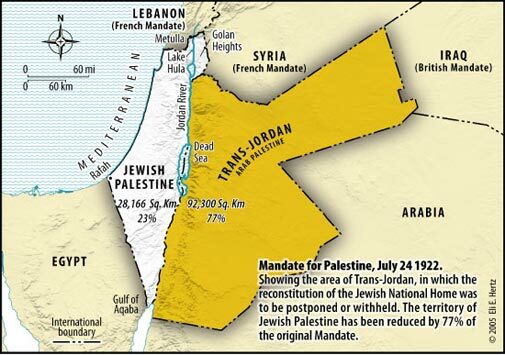 2. this swap could still lead to the creation of secure borders for Israel. Those concerned to ensure that American Presidential commitments made to third parties are honored and upheld by their successors should be as equally worried as Israel at Obama’s apparent attempt to breach such a fundamental Presidential commitment. The price Israel paid to secure the Bush Letter was its decision to unilaterally disengage from Gaza in 2005. This disengagement exposed Israel’s civilian population living in its southern region to the threat of continuing indiscriminate missile and terrorist attacks from Gaza without any Israeli military forces being retained in Gaza any more to prevent, defend and respond to any such attacks. 8000 Israeli citizens were forced to evacuate their homes and businesses established in Gaza over the preceding 38 years. This is indeed what happened after Israel disengaged from Gaza in 2005 - with disastrous consequences for both civilian populations in Israel and Gaza and for those 8000 Israelis who had evacuated Gaza. America’s decision to stand by and support Israel on this fundamental territorial issue is critical. Israel’s Government in 2008 had unsuccessfully explored the possibility of land swaps with the Palestinian Authority - but those negotiations ended inconclusively and are now in total lock down. Exploring land swaps might again be considered by Israel in future negotiations. The current Israeli Government shows no intention to do so. But that will have to be Israel’s decision - not America’s. America’s view - now or later - regarding land swaps is irrelevant under the Bush Letter. President Obama’s statement will no doubt be seen by some to indicate a shift in America’s position - perhaps made in an attempt to induce the Palestinian Authority to resume the stalled negotiations with Israel. Obama’s position will be viewed by Israel and its supporters as a shift that does no honor to America and badly damages its reputation and integrity. The Bush commitment was made for an Israeli commitment that has resulted in the death, injury and traumatisation of tens of thousands of Israelis. Obama’s attempt to minimize or modify that commitment in any way must be firmly and publicly resisted by Israel and its supporters in the American Congress - which had voted overwhelmingly in favor of President Bush signing the Bush Letter in the first place. Doing so will certainly help restore America’s reputation for honesty and transparency in its dealings with third parties - and for standing by and remaining staunchly committed to the decisions of its Presidents. Aren't these indeed cardinal democratic principles which Obama - as leader of the world’s leading democracy - is sworn to uphold?